When you pick up an indie or small print comic book, you’ll expect a little less “gloss” than one might find in a mainstream publication. 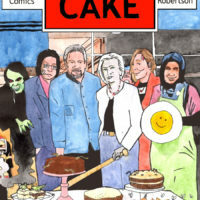 It’s the trade-off one gets from supporting the work of passionate artists who are likely struggling to balance comic creation with an uninspiring day job, rather than the product of a merchandise-minded corporation. Not so with OneNation, a highly polished effort from Jason Reeves, Alverne Ball (Virgin Wolf) and Luis Guerrero that is both a feast for the eyes and an interesting take on the Superman and Captain America mythologies (the book is being billed as “It’s Superman meets the Hurt Locker!”). The scene is set in 1991, Kuwait. 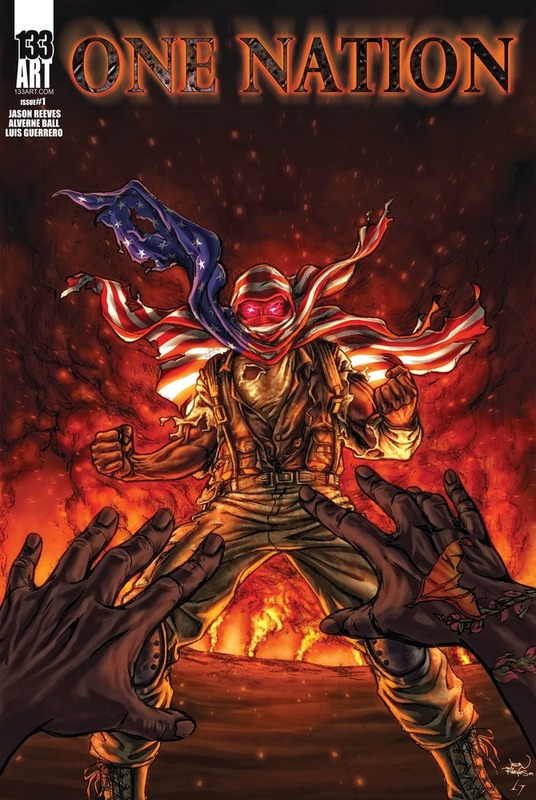 When his friend is killed by insurgents, a military grunt unleashes his superhuman abilities and single-handedly ends the Gulf War, all while fittingly wrapped in an American flag. 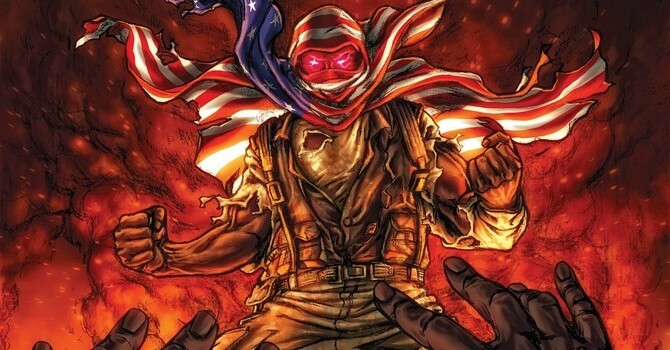 In a nice twist, the U.S. Government decide to support him, giving him the alias Paragon and passively taking control of the world’s first public metahuman. Though it would appear that Paragon isn’t the world’s only super-powered individual, and is merely the start of something far larger. As far as first issues go, OneNation suffers from the aforementioned comparisons to other superheroes – the Man of Steel is mirrored so many times that I felt tempted to check the cover for an Elseworlds label – and it lacks a potent enough hook (I had no idea who the character who appears in the final splash was), but the quality of art and storytelling on display here is so good that I’ve every bit of confidence that Reeves, Ball and Guerrero are going to deliver something special as the series develops. Find out more about the cast of OneNation and preview the first issue here.